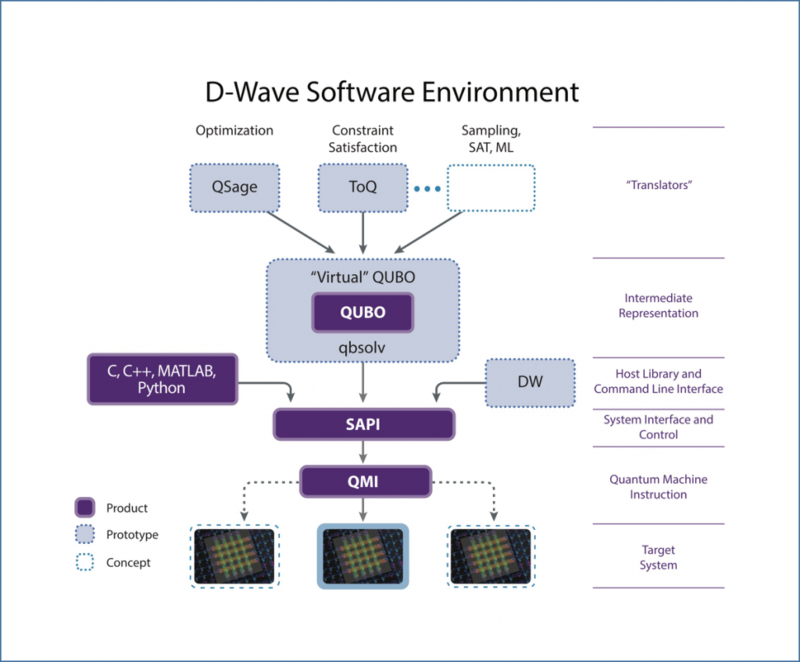 Burnaby, BC – January 11, 2017 – D-Wave Systems Inc., the leader in the development and delivery of quantum computing systems and software, has released an open-source, quantum software tool as part of its strategic initiative to build and foster a quantum software development ecosystem. The new tool, qbsolv, enables developers to build higher-level tools and applications leveraging the quantum computing power of systems provided by D-Wave, without the need to understand the complex physics of quantum computers. The promise of qbsolv and quantum acceleration is to enable faster solutions to larger and more complex problems. Users given early access to qbsolv have validated its benefits, and started to develop and release new software tools and applications building on it. Scientists at Los Alamos National Laboratory used qbsolv with a D-Wave system to find better ways of splitting the molecules on which they performed electronic structure calculations, among the most computationally intensive of all scientific calculations. In some cases this new method gave better results than the industry-standard graph partitioner and the winner of last year’s graph-partitioning challenge.